Founded in 1947 as a body to unite diamond exchanges under one roof, the World Federation of Diamond Bourses (WFDB) provide a common set of trading practices for bourses trading in rough and polished diamonds, as well as coloured stones. The object of the World Federation of Diamond Bourses is to protect the interests of affiliated bourses and their individual members, and to further the amicable settlement or arbitration of differences and disputes between the individual members of the affiliated bourses and between the affiliated bourses. In furtherance of this object, it is the aim of the world federation to participate in the promotion of world trade and to encourage the establishment of bourses, with the view of eventual affiliation of all centres where diamonds are actively traded. 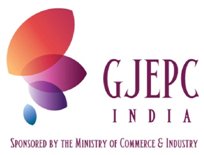 Established in 1966, the Gem &Jewellery Export Promotion Council (GJEPC) has over the years effectively moulded the scattered efforts of individual exporters to make the Gem and Jewellery sector a powerful engine driving India’s export-led growth. With more than 5,300 members spread all over the country, the Council is primarily involved in introducing the Indian Gem &Jewellery products to the international market and leverage their international relationships to promote exports. To achieve this, the Council provides market information to its members regarding foreign trade enquiries, trade and tariff regulations, rates of import duties, and information about jewellery fairs and exhibitions. This apex body of the Gem &Jewellery Industry is continuously working towards creating and retaining a pool of artisans, designers that are trained as per international standards so as to consolidate the Indian jewellery industry and establish it as a prominent global player in the jewellery segment. Established in 1978 in Surat, Indian Diamond Institute (IDI) the most coveted institute in the field of diamonds, gems &jewellery in India is a state-of-art school of learning, everything within the campus, under one roof. The establishment of the IDI was conceptualized and later put into effect to Recognize the Indian Diamond Industry as a major source of employment in a priority sector like export production with scope for substantial value - addition for the country. The IDI is a Society registered under Societies Registration Act, 1860 and also under the Bombay Public Trust Act, 1950. The main object of the IDI is to create professionalism within the diamond gem and jewellery trade and industry and to that end organize the development of a higher level of skill in artisans. The Institute is expected to perpetuate and improve upon the skill involved in diamond processing. Development of new tools, equipment and technology in diamond processing and related subjects dynamically matching with the developments elsewhere in the world is another objective of the institute. The Thai Gem and Jewelry Traders Association (TGJTA) is established to serve local gem and jewellery traders and manufacturers who were concentrating on creating a cohesive organization dedicated to developing and expanding the industry for the benefit of all. The vision and dedication of TGJTA’s leadership and members served to grow what was once a cottage industry to one of the world’s leading gem and jewelry manufacturing and trading centers. The TGJTA works closely with the Ministry of Commerce, which oversees the Department of Export Promotion (DEP). Both government and private institutions dedicated to providing training and education in the fields of gems and jewellery production; these programs range from gemological training, gem cutting, to jewellery design and manufacturing methods. Standards for Thai gems and jewellery are established according to strict academic discipline to meet international requirements for quality products. In addition to fair, the TGJTA is co-operating with the government on the Bangkok Fashion City project, with the aim of pushing Bangkok as one of the world’s leading fashion and design centers. Established in 1931, the Gemological Institute of America (GIA) is the world’s foremost authority on diamonds, colored stones, and pearls. A public benefit, non-profit institute, GIA is the leading source of knowledge, standards, and education in gems and jewellery. GIA offers the finest gem and jewellery education in the world with curriculum developed from its groundbreaking research and delivered by the industry’s leading experts. The institute gives you the knowledge and practical skills to translate your love for gems and jewellery into a rewarding career. GIA has the world’s most comprehensive gemological research program; a staff with academic training and gem-testing experience; modern scientific instrumentation; and a superb collection of gem materials. For more than 80 years, GIA researchers have studied the scientific properties of gems to develop new methods of identifying natural, synthetic and treated gems. Results of these studies are incorporated into GIA educational materials and are published in professional journals. And they inform the grading and analytical methods we use in our laboratories. Confédération International de la Bijouterie, Joaillerie, Orfèvrerie des Diamants, PerlesetPierres (CIBJO) the World Jewellery Confederation, has its headquarters in Milan, Italy. It represents the interests of all involved in jewellery, gemstones and precious metals, from mine to marketplace.Originally founded in Paris in 1926 as BIBOA to represent the interests of the European jewellery trade, it was restructured in 1961 as CIBJO with a worldwide focus. CIBJO Blue Books define grading standards and nomenclature for diamonds, coloured gemstones, pearls, precious metals, and gemmological laboratories. CIBJO claim that they are the most widely accepted set of globally accepted standards. They are subject to annual review. In November 2004 the CIBJO Blue Book was relied upon by a panel of three judges in a district court in Munich, Germany, which issued a restraining order to the German distributor of gem-quality synthetic diamonds, to cease using the term “cultured diamonds” when marketing its products to the public. Explaining its decision, the court said the term was misleading. Legal commentators have suggested that since the ruling has taken place within the jurisdiction of a member country of the European Union, the verdict most probably has legal authority also in other EU countries. In 2006 CIBJO received official consultative status with the Economic and Social Council (ECOSOC) of the United Nations. The Indian Diamond and Colorstone Association (IDCA), established in the year 1984 to associate its members for their mutual benefit as traders of diamonds; color stones &jewellery. It is a not-for-profit organization comprising of diamantaires, colored stone dealers and jewellery manufacturers from India based in the United States of America. IDCA is dedicated to promoting business in the US. Its role is to increase awareness among the US business community, retailers and manufacturers. The inception of the diamond, gemstones and jewellery business in India is well over 2000 years. It has had a glorious past and a magnificent present and we hope that the best of our achievements are ahead of us. 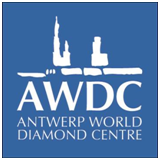 The Antwerp World Diamond Centre (AWDC) is an industry-established foundation whose mission is to serve and support the diamond business in Belgium. Headquartered in the heart of Antwerp’s diamond district, its Board of Directors is elected directly by those who define the Antwerp Diamond Community. In October 1973, the AWDC was established as the HogeRaadvoorDiamant (HRD), or Diamond High Council, at the initiative of the Belgian government and diamond industry representatives. Its stated mission was to protect and promote the diamond sector in Belgium. It also had a commercial branch to issue certificates. In 2007, the initial Diamond High Council was restructured and split up in two different enterprises. The first, Antwerp World Diamond Centre (AWDC), a private foundation, is responsible for the representation of the collective interests of the Belgian diamond industry national and international, as well as the promotion of Antwerp as the global capital of the diamond industry. The second enterprise, HRD Antwerp, a completely independent subsidiary of AWDC, is a commercial organization with six different branches: Diamond Lab, Precious Stones Lab, Research, Education, Graduates Club and Equipment. The Jewelers Vigilance Committee (JVC) was formed in 1917 to provide education and self-regulation to the jewellery industry. Members operate under the highest standards of business practice after pledging to comply with all laws applicable to the jewellery industry and make accurate representations about the products they sell. JVC members receive pay low annual dues and receive thousands of dollars in FREE legal compliance information, products and services - including important eNews Alerts and eNewsletters and access to JVC’s Members Only Section on JVC’s website - www.jvclegal.org. As advocates for the industry and buying public, JVC helps industry members avoid expensive litigation and negative publicity. We monitor the industry for compliance and maintain a level playing field for all. 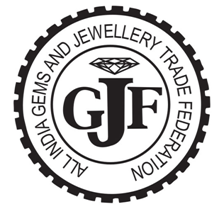 All India Gems &Jewellery Trade Federation (GJF) is a national trade federation for the promotion and growth of trade in gems and jewellery across India. It is a federation that has come together, for managing various aspects of fair trade practices and efficient organization of business in the gems and jewellery industry. The numerous local associations already in existence do not focus on issues of the trade at a national level. It is hence that the GJF was formulated in early 2005. It unites manufacturers, wholesalers, retailers and exporters all over India for a common interest. This shall shape and influence the industry's future and bring integration and opulence amongst its members, while protecting the interest of the customers at the same time. De Beers, established in 1888, is the world’s leading diamond company with unrivalled expertise in the exploration, mining and marketing of diamonds. Together with its joint venture partners, De Beers employs more than 20,000 people in operations around the world. De Beers is a cartel of companies that dominate the diamond, diamond mining, diamond shops, diamond trading and industrial diamond manufacturing sectors. De Beers is active in every category of industrial diamond mining: open-pit, underground, large-scale alluvial, coastal and deep sea. Mining takes place in Botswana, Namibia, South Africa and Canada. De Beers has two shareholders: Anglo American (85%) and the Government of the Republic of Botswana (GRB) (15%). 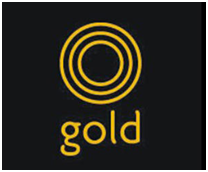 The World Gold Council (WGC) is the market development organization for the gold industry. Working within the investment, jewellery and technology sectors, as well as engaging in government affairs, its purpose is to provide industry leadership, whilst stimulating and sustaining demand for gold. The WGC is the global authority on gold and its uses and the first source of informed opinion and advice for stakeholders and decision makers. The organization uses this knowledge to develop insights into the future role that gold can play across a number of sectors and then, in collaboration with partners, intervene to deliver solutions and create new markets, and to increase and sustain the demand for gold. Based in the UK, with operations in India, the Far East, Europe and the USA, the World Gold Council is an association whose 21 members comprise the world’s leading gold mining companies. Bharat Diamond Bourse (BDB) is a service oriented non-profit making guarantee company registered in 1984 under section 25 of the Companies Act. It was originally formed by the Members of Diamond Exporters Fraternity along with Minerals and Metals Trading Corporation of India (MMTC). BDB was set up for the primary objective of establishing necessary infrastructural facilities for promotion of export of diamonds including diamond jewellery from India and to provide for this purposes all support and service facilities so as to eventually make India an International Trading Centre for Gems & Jewellery.